Parents who visit a Ringling Treat House with children between the ages of 2 and 12 will receive one voucher for a FREE Kid’s Ticket for each child present. 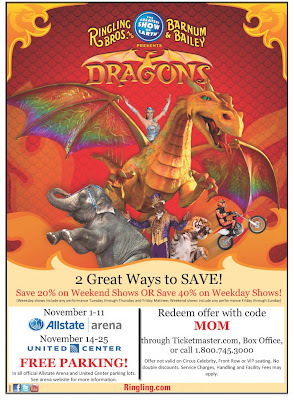 Voucher is redeemable for a ticket to any Monday – Friday performance of Ringling Bros. and Barnum & Bailey presents Dragons at Allstate Arena and United Center. Voucher must be redeemed for Kid’s Ticket at the arena box office. Additional tickets and adjoining seats may be purchased at that time. Trick-or-Ringling Treating is available on Oct. 31 until the end of the hour noted or until 100 FREE Kids’ Vouchers are distributed at each house, whichever occurs first. Stop Zombie Mouth - Free Halloween Game Coupons! This Halloween, ADA and PopCap Games are redefining what a Halloween “treat” can be, by giving a fun game free, instead of candy. The American Dental Association (ADA), the leading source of oral health-related information, and PopCap Games, a leading digital games creator and a division of EA, have partnered to raise awareness of the importance of kids’ oral health in addition to providing a fun alternative to sugary treats on Halloween night. 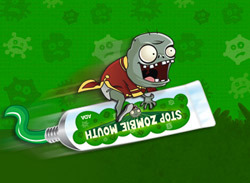 Anyone wishing to give away PopCap’s hit Plants vs. Zombies instead of sweets for Halloween this year can download free game coupons (redeemable for the full PC/Mac edition of Plants vs. Zombies) at http://stopzombiemouth.com. The free codes can be redeemed at http://stopzombiemouth.com starting Oct. 30, but no later than Nov. 10. 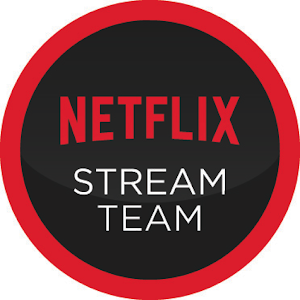 They are good for the PC or Mac version of the super-popular game, which normally sells for $19.95. The North Pole might as well be in Chicago the week before Thanksgiving, as over 25,000 visitors will head to Navy Pier to shop and play with thousands of toys and games on display from over 250 exhibitors. The 10th anniversary Chicago Toy & Game Fair, the largest public toy and game show in the nation, features the holiday season’s newest offerings from some of the bestselling brands in the world, as well as critically acclaimed, award-winning games from independent retailers. If you've never been you really must go. The kids will love it! It's like being in a huge toy store and being encouraged to play! (10AM-4PM): A dynamic performance competition (featuring ladder climbs) that will be judged by former Illinois and World Champions as well as a quarter-finalist from the hit TV shot “America’s Got Talent.” Hands-on tips for all skill levels; online and day-of registration available. Sponsored by Cat ‘n Mouse Toy Store. Top Trumps Guinness Book of World Records Attempt (3PM): Girl Scouts from all across the Midwest will join together in an attempt to break the world record for the most people playing a single card game at one time. Young Inventor Challenge (10AM-2PM): Nearly 200 young inventors in two age groups (6-11, 12-18) will display their original inventions of toys and games to be voted on by the public as well as professionals from the United Inventors Association of America. Previous participants have had their inventions licensed by major toy companies. Sponsored by PlaSmart. Bring Your Grandparents Day! Children of all ages are invited to bring their grandparents to ChiTAG. Grandparents attending the Fair with their grandchildren will be welcomed into the Fair free of charge. (10AM-5PM): Stage Performances from Radio Disney, Blues Clues LIVE! presented by Naperville’s Center Stage Players, Elan Dance Company, Music from 4 A.M., as seen on Fox-TV’s The X-Factor, Ben’s Bubble Show, Lil’ Buds Theater and more. Boy Scouts Top Trump Tournament (9AM): Boy Scouts are admitted into the Fair an hour early. FREE ADMISSION FOR: Teachers, librarians, members of the military, Boy/Girl Scouts in uniform, children under 3 years of age. Leave me a comment below for a chance to win one of FIVE Family 4 packs of tickets to attend the fair! Be sure to leave an email so that I can contact you in the event you win. Winners will be chosen on Fridays 10-19 through 11-16. Well hello there! I know there has to be at least one reader anxiously awaiting another installment of Tuesdays with Megan. This week we have what's called the Birthday Edition. Harold and the Purple Crayon teaches young audiences that anything is possible with a crayon and a big imagination. Meet Harold, a curious four year old boy who, armed with his trusty purple crayon, has the power to create a world of his own simply by drawing it. This imaginative musical uses breathtaking animation, inventive puppetry, and original music to bring Harold’s purple-hued world to life; it is perfect for introducing young children to theatre while simultaneously captivating their older companions. Harold and the Purple Crayon will be helmed by CCT Artistic Associate Sean Graney, who directed the company’s productions of The Hundred Dresses, Honus and Me, and Hana’s Suitcase. Graney, Founding Artistic Director of The Hypocrites, is the recipient of a Career Development for Directors Program award from the National Endowment for the Arts and Theatre Communications Group, the winner of two non-Equity Joseph Jefferson Awards, and was named Chicago’s Best Avant-Garde Director by Chicago Magazine and 2004’s Chicagoan of the Year: Theater by the Chicago Tribune. Building Blocks Toys is back this year to join us for Harold and the Purple Crayon with a post-show party: October 14, 11:00am. Free fun for the whole family: facepainting, glitter tattoos, yummy treats, activities & giveaways! 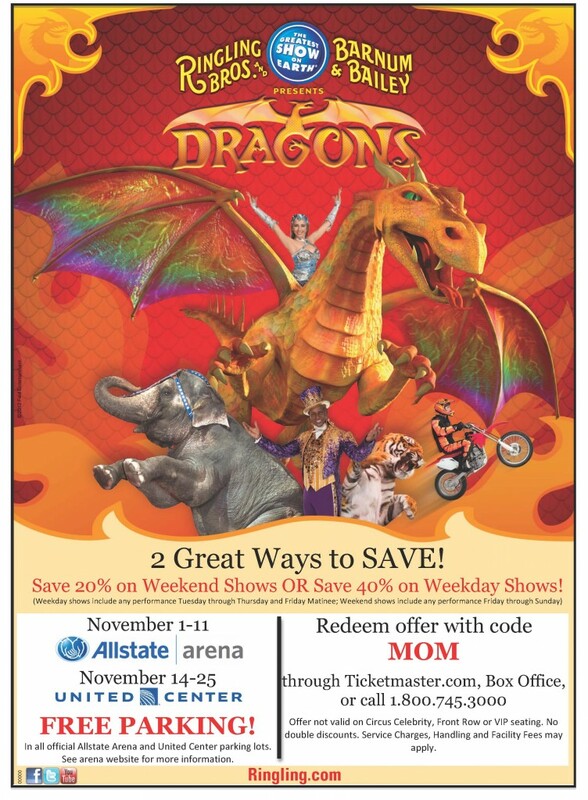 Ringling Bros. and Barnum & Bailey® Presents DRAGONS is a once in a millennium event that honors The Year of the Dragon. 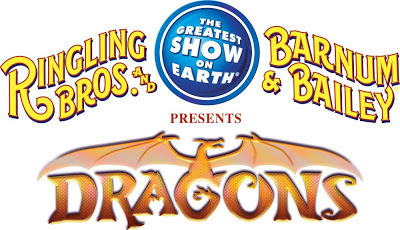 Circus performers from the farthest reaches of the earth have assembled for Ringling Bros.® Presents Dragons to showcase their astounding acts of bravery and astonishing athleticism. Ringling Bros. Ringmaster Johnathan Lee Iverson presides over this fantastical celebratory tournament of circus champions that brings together mystic dragon lore with authentic circus feats. Dragons is a never-before-seen blend of renowned spiritual and real life legends that can be found only at The Greatest Show On Earth®! Arrive an hour early and meet the animals and performers at the All Access Pre-show Power-up Party – free with your ticket! Families can join Pre-show Host Andre McClain and participate in interactive experiences such as learning juggling and balancing skills, get performer autographs, see one of Ringling Bros. majestic Asian elephant’s paint a one-of-a-kind masterpiece and meet the Ringling Bros. Clowns, whose side-splitting spoofs, absurd antics and comical parody are guaranteed to keep audiences roaring with laughter! Playing Allstate Arena Nov. 1-11 and united Center Nov. 14-25. Get your tickets today at Ringling.com. FREE PARKING in all official Allstate Arena and United Center parking lots. Visit arena websites for more information. Discount offer: Save 40% on all weekday shows and Save 20% on all weekend shows. Disclaimers: Weekday is defined as any show Monday through Thursday or Friday matinee, not including holidays such as the day after Thanksgiving. Discount does not apply to Circus Celebrity, Front Row, or VIP seats. No double discounts. Service charges, handling, and facility fees may apply. Quick Facts: Circus Celebrity seats sell out fast, as they include more than 20 minutes where you and your family become a part of the show on the Arena floor. Get these tickets EARLY if you're interested! The shows on Sunday, Nov. 4 at 5 pm and Sunday, Nov. 18 at 5 pm include post show Hispanic concerts. Ticket prices for these shows are $5 more for each price level. Opening night tickets on Thurs., Nov. 1 at 7 pm at Allstate Arena and Weds., Nov. 14 at 7 pm at United Center are just $12! Giveaway: I’m giving away a family four pack of tickets to see Ringling Bros. and Barnum & Bailey® Presents DRAGONS in Chicago. Your tickets will be good for one performance on Nov 1 at 7pm, Nov 2 at 10:30AM, or Nov 15 at 7pm. Leave me a comment below telling me what you're most excited about seeing at Ringling Bros. and Barnum & Bailey® Presents DRAGONS, including your email address. I'll choose a winner via random.org on October 17, 2012. 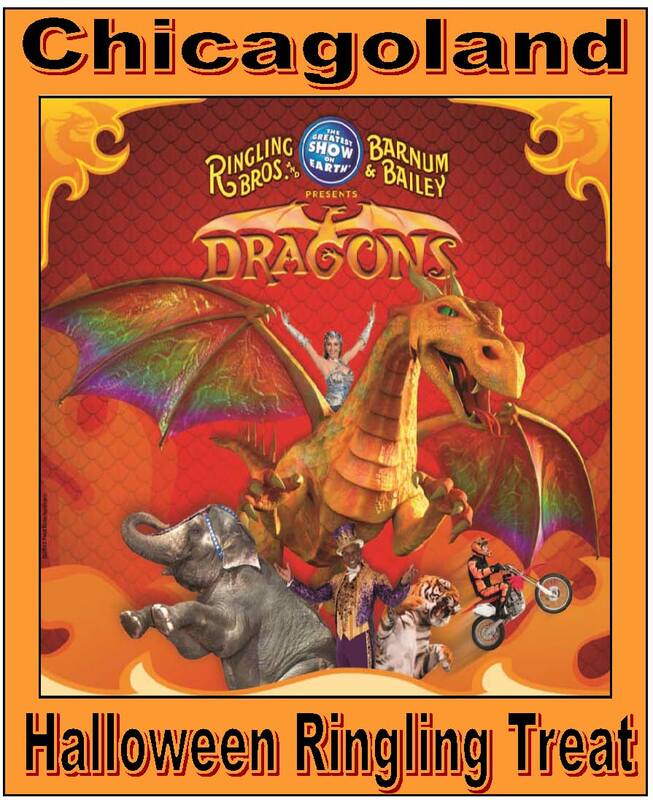 I was given tickets for family to attend Ringling Bros. and Barnum & Bailey® Presents DRAGONS as well as tickets to facilitate this giveaway. I can always count on GlitterGurl to make me smile. What's it mean when I cough and have really bad head pains...sinus? I figured sinuses, but wanted to make sure it wasn't a brain aneurysm. CVS brand work? Never mind, I read the ingredients.